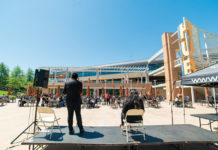 On Wednesday, Jan. 9, State Senator for the 31st District Richard Roth announced Senate Bill 56, which requests $80 million for “the construction of a new University of California, Riverside School of Medicine facility” and $25 million for “ongoing operational support for the expansion of the University of California, Riverside School of Medicine.” This additional funding is aimed at doubling the current enrollment of medical students at the school from 250 to 500. 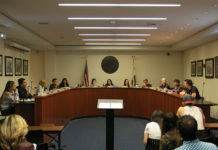 Deborah Deas, dean of the UCR School of Medicine, also commented on SB 56, stating that the school first heard of the bill in December 2018. “The initial $15 million state allocation for the School of Medicine, beginning in 2013, has not been adjusted for inflation,” Deas wrote, and as a result is not enough to address both the current and future needs of education in the medical field. 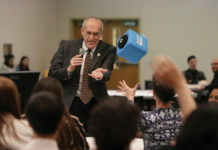 Roth pointed out that “medical education is a costly endeavor” that tuition alone cannot cover, moreso at a state university “where tuition is generally lower than the prevailing private medical school tuition.” He later said that the UC system does not supply an adequate amount of tuition money to medical education. However, despite the handicap the school has “demonstrated the capacity and leadership to expand given support do so,” citing its “track record of success” in its enrollment and graduation of a diverse group of medical students. 89 students have graduated since 2017 when the school first opened. Deas also noted that “across the nation and in California, there have been new medical schools created to expand access to medical care in areas,” as part of a “national trend than (sic) began about 15 years ago.” Despite this trend “there are also shortages of nurses, physician assistants and other medical professionals which are being addressed by other higher education institutions in this region (the Inland Empire),” according to Deas. Roth said to “stay tuned” as he and his associates continue working on passing the bill.